 The Colosseum Luxury Hotel offers pristine conference facilities, which include the Executive Boardroom, the Soundroom and the Private Dining Area. The different spaces cater a range of activities, from more intimate meetings as well as conferences, training seminars and client presentations. We offer customisable packages from hourly to full-day options, which include wifi and secure parking. The Colosseum offers an executive boardroom, available for meetings, conferences, training seminars and client presentations for up to 16 people. The boardroom is equipped with standard audio-visual equipment, including LCD projector, DVD & VHS player. The Colosseum Hotel offers a unique sound room, with state-of-the-art Bose equipment, audio visual equipment. Ideal for intimate meetings, strat sessions, interviews and private luncheons. This venue can accommodate a minimum of two guests to a maximum of eight guests. A unique facility overlooking the foyer with floor-to-glass windows, with state-of-the-art Bose equipment, audio visual equipment - ideal for larger meetings. This venue can accommodate a maximum of 45 guests. Interested in any of our conference facilities?